So you’ve started a business and you’re getting used to making important decisions every minute of the day. Each time, your focus is to make its future as lucrative as possible. You’ve chosen your niche, hand-picked a team and settled on a location. Now it’s time to select the business technology and tools needed to get things off the ground. Although this may seem trivial, technology is becoming increasingly important in every type of business. It can help you manage cash flow, make better choices about inventory and employees, connect closer with your customers and save time. If there’s one thing to remember when weighing up your options, it’s that your business technology and tools should be able to grow with your business as it evolves. If you don’t consider yourself to be tech savvy and you’re not even sure where to start, or need a little guidance, we’ve got you. Here are five tools you should consider implementing to help you grow your business. If you have a storefront, offering Wi-Fi can also improve your customers’ experience. In fact, it could even be a way to draw customers in. And if you’re starting a cafe or a coffee shop, your customers will likely expect you to offer free Wi-Fi. Having a POS, at the most basic level, lets you record sales, accept payments, and route funds to your bank. But you should be looking for more, like built-in functionality and software integrations that make it easier to run your business. Square’s POS, for example, also provides you with the ability to track sales and inventory so you can know what’s working and where you can improve (which helps you make better-informed decisions). It also allows you to create customer profiles and receive feedback, so you can make each interaction better than the last. Whatever POS you choose, make sure it isn’t a headache to learn and it’s easy to train employees on. With fewer people carrying cash in their pocket, you want to have a few different ways to take payments. To stay competitive, make sure your system accepts mobile payments (like Apple Pay, Google Pay, and Samsung Pay) and can read chip cards. Look for a service that covers these areas and also provides resources for risk management, fraud detection, and disputes. And don’t forget about invoices. If you need to invoice customers regularly (or even if it’s only every once in a while), consider using online invoices that sync with your POS and allow you to set up recurring, scheduled invoices. The devil’s in the detail when you’re getting your small business off the ground — it pays to understand what’s happening day-to-day. But your size puts you in an incredible position to make quick adjustments that immediately improve cash flow. 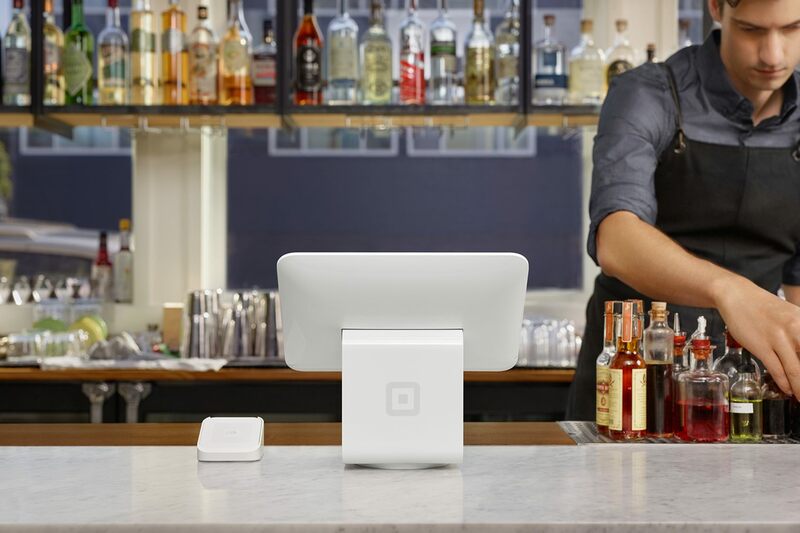 There are many choices for business analytics software, but as with Square Analytics, some options come as part of your mobile and countertop POS. The benefit of having your data integrated in this way is that you can track every aspect of business performance, wherever you are, at any time of day. Employee performance: so you know who needs a little extra training and who could be in line for a promotion. Sales performance: so you know which items are selling best, at which time of day and when most of your sales take place. Customer insights: to help you understand how many of your customers are new or returning and what they like to buy. In a recent survey that we conducted, 44% of respondents said a website was ‘very’ or ‘extremely important’ in their decision to try out a business. So whether you’re planning to sell your products online or want to have a general website to engage customers, you need one that puts customers first. This can be as simple as making sure your site is mobile-friendly. Building a website doesn’t have to involve coding skills you may not have. With custom eCommerce solutions, you can build an online presence by simply dragging and dropping elements. Don’t forget to choose a payment provider who will deposit funds from your online transactions as soon as the next business day. This ensures your online activity can quickly help fund the overheads of your physical store. Technology might seem like one of the least pressing things to invest in, but in reality it can become the backbone of your entire business operation. Focus on a simple setup that you can scale over time and you’ll find that the investment is worthwhile.